The CTF is a hacking contests designed for security experts with the desire to compete against each other. CTF is a simulation of a real environment with exploitable devices and applications where security expert’s skills are put to the test. Besides real vulnerabilities in place there are some other task to solve, where creativity, focus, logic, ingenuity and other problem solving skills can glance. Once connected to the real environment hack but don’t get hacked! This year we will run a ~48hrs long CTF competition. Categories will be web, pwn and reversing ( maybe some bonus categs too). 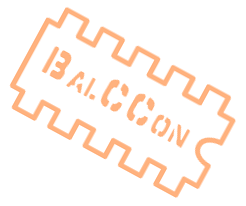 CTF will start on a first day (09th September) of the BalCCoN at 16.00 pm, and end on a last day ( 11th. September) at 16pm, and there will be prizes for the first 3 teams. Registrations will be open from 09th September.